Pl(a)ywood is, obviously, a play on words — but not just that. 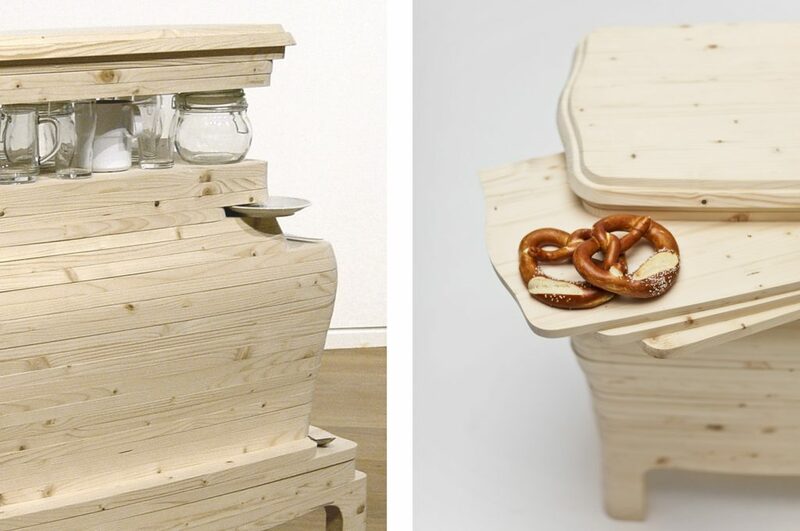 Silvia Knüppel’s chest of drawers, Pl(a)ywood, allows, or rather requires, you to use it in quite a playful manner. Like the material it is named after, this chest of drawers indeed consists of a total of 38 layers of loosely stacked plywood boards. 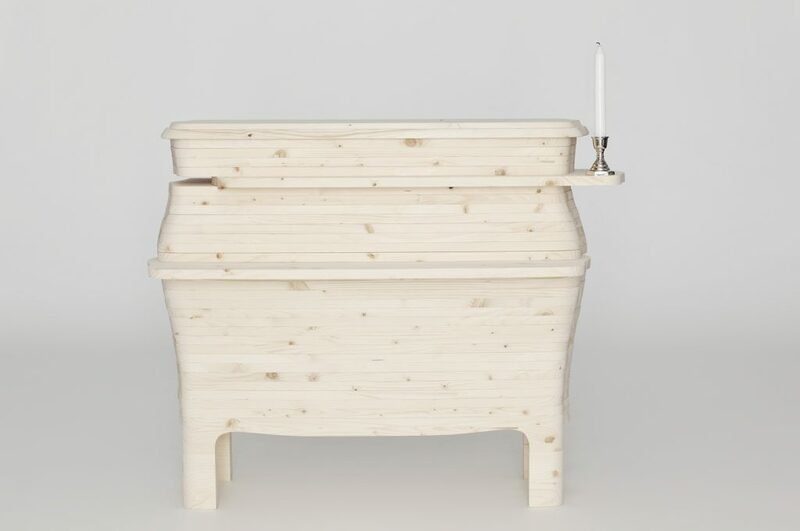 Consequently, only the shape of this piece of furniture reminds us of a traditional chest of drawers, when in fact the chest as such does not have any inner workings — at least not in the form of hollow spaces like drawers or closet compartments. Yet it is not only a massive wood sculpture. 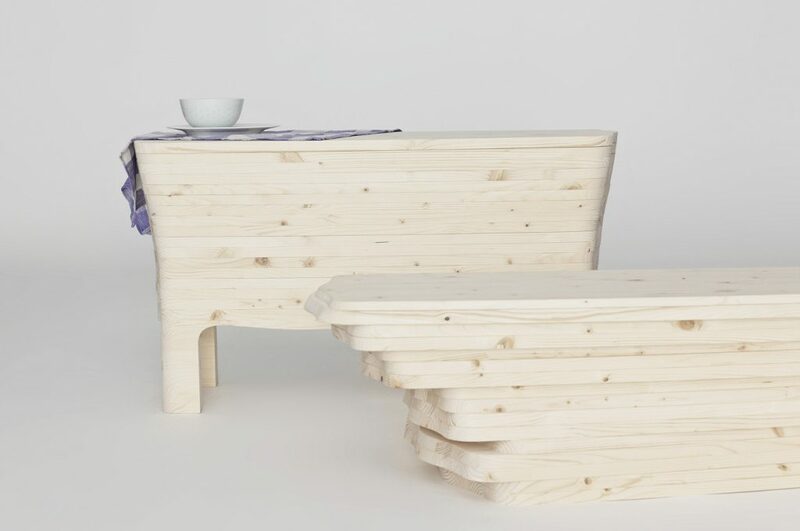 After all, the layers can be shifted against each other and one below the other, thus offering numerous possibilities for placing things: the boards can, as needed, be left to protrude to the side, to the front, to the back and somehow also diagonally. These protruding surfaces can then be used to hold books, glasses, bottles, or other small items.